I studied classic novels on a daily basis when I was in university and, by doing so, I developed a deep love for them. University opened my eyes to the importance and value that classics hold, which school was not able to do. These novels give us a peek into the minds and times of people of the past, granting us the opportunity to understand history via a different method than reading a textbook or asking Google. My enjoyment of classics is rooted in this idea of having a front row seat to the conventions, events, and issues of the past. Their plots may seem uninteresting yet they tell stories that speak volumes about their era and share insight that we would otherwise not have if these novels did not exist. Realising just how important classics are is what ignited my love for them and helped me to find so many that I came to enjoy! Today I want to share some of the classics that I enjoyed not only for the value they added to my life but also for their ability to completely entrance me and fall in love with classics even more. If you are struggling to get into classics or are looking for some enjoyable ones to read, I highly recommend the three books below for you to give a try. 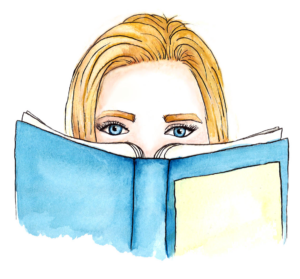 Whilst you may know what these books are about, you may not know exactly makes them books that can be just as enjoyable as a modern fictional work. So, instead of providing you with a synopsis of each book, I’ve listed exactly what aspects of them may ignite your interest in classics! The writing in Jane Eyre flows easily and is absolutely beautiful, making for a pleasant and smooth reading experience. It’s nothing fancy, just plain and simple writing that fully captivates your imagination. Despite being published in 1847, the language is understandable and almost poetic. Brontë does not have you checking every second word in a dictionary and feeling like you can’t follow what is happening. The plot includes a number of interesting tropes that I personally enjoy, such as boarding schools, mysterious mansions, and secrecy. This makes for a suspenseful read and ensures that the story does not get boring at all! There is a romance but it is not the main focus of Jane Eyre. Instead, this is a coming-of-age story that follows the title character from childhood to adulthood, placing much of the focus on her as opposed to her within a romantic relationship. There’s an unexpected and thrilling plot twist that adds a lot of suspense and drama to an already intriguing story. I found this moment in the book to be one of the most interesting parts in any classic I have read. 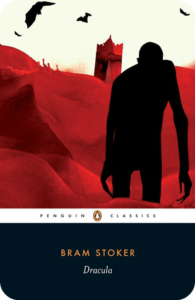 Dracula is perhaps the most famous gothic novel of all time and for good reason. 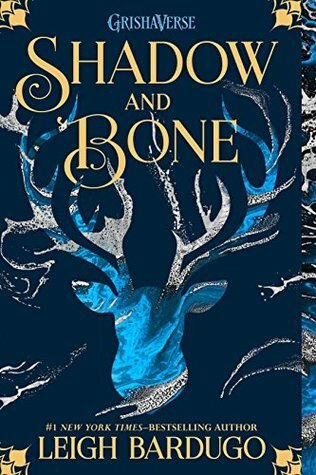 The setting in this novel is incredibly dark and ominous, with inescapable castles, creepy forests, and more, creating a spine-tingling reading experience. The story is also told through diary entries which is quite a different form of writing for the time in which the novel was published. The diary format also makes the story more accessible and adds further to the mystery surrounding Dracula. The vampires in this novel are not the beautiful and irresistible ones you’ll find in Twilight or The Vampire Diaries. Instead, you’ll find gory, cunning, and creepy vampires in Dracula. The title character himself is incredibly horrifying and comes to haunt the other characters throughout the story. The language in Dracula is also easy to understand and follow. Since the diary entries are quite informal and emotional, the characters writing them are very human and raw, leaving no space for Stoker to write in a verbose way. Lastly, this classic is way ahead of its time in terms of just how captivating it is. The story itself is scary and sometimes even graphic but it all makes for a fast-paced and heart-stopping journey with the characters. This novel feels like it could have been written yesterday purely for its style of writing and how the story could easily fit into the horror genre of today. The Great Gatsby is known for the glamour it exudes in the parties, fashion, and wealth of the characters it focuses on. People still host parties today that are themed around this novel. However, this is not by coincidence. Fitzgerald’s novel captures 1920s New York vividly and colourfully, allowing the imagination to run wild and bring the story to life. The writing in this novel is some of the most beautiful I have ever come across. The style is poetic and wistful, enhancing the ease with which some of the characters live every day. The story reads like a strange dream but, unfortunately, speaks of a harrowing reality. Fitzgerald’s main focus in this novel is the emptiness of the American Dream. This ideology has permeated the American psyche for decades and is still used today to describe the United States as a land of opportunity and success. Yet, The Great Gatsby shows just how misleading this sentiment is and how it does not necessarily lead to true happiness. The novel shows the flipside of the American Dream, which is so interesting to read from the perspective of someone living at the peak time of these ideas. 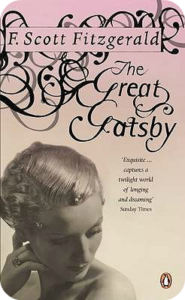 Despite the social commentary the novel makes, The Great Gatsby is actually quite a dramatic and sad story. There is never a dull moment throughout it and you find yourself going through an array of emotions, from joy all the way to heartbreak. I love encouraging people to read more classics because I believe that they teach us so much about the times in which they were published and what sort of concerns their societies had. However, this does not have to be a daunting undertaking! Reading classics can be just like reading any other book you know you would enjoy – you just need to know where to start. I hope that these recommendations inspire you to not only see classics differently but to also consider giving them a try! WHAT IS YOUR OPINION ON CLASSICS? DO YOU ENJOY THEM? WHY OR WHY NOT? COMMENT DOWN BELOW AND LET’S TALK ABOUT IT! I adore classics! I love The Great Gatsby too, and I’m dying to read Dracula. Some of my favourite classics are War and Peace, The Castle of Otranto, Tess of the d’Urbervilles, and Cranford. Highly recommend them! Thank you! 🙂 Oooh, I really want to read War and Peace! Dracula is so good, give it a go! I’m not much of a novel reader–I generally prefer biographies–but I go back to a few of them every few years. 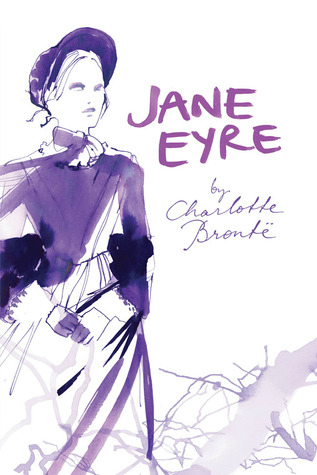 Jane Eyre has been a favorite for at least 50 years (yes, that dates me). I first read War and Peace when I was in high school and enjoyed it, but skipped most of the historical parts. It’s time to re-read it now and pay attention to the history! Jane Austen’s Persuasion and Northanger Abbey are good ones to re-read if I’m under the weather–best cure is hot tea and a familiar book. I wish I could get more into biographies but I really struggle to find one that grips me! Do you have any recommendations? 🙂 Also, I’ve only read Pride and Prejudice by Jane Austen so I think I should give Northanger Abbey a try because so many people seem to enjoy that one! Thanks for your great comment!